Evergreen, stiff, 1/2 to 1 inch long. Needles are 4-angled but somewhat flattened, with a sharp pointed tip, shiny green. 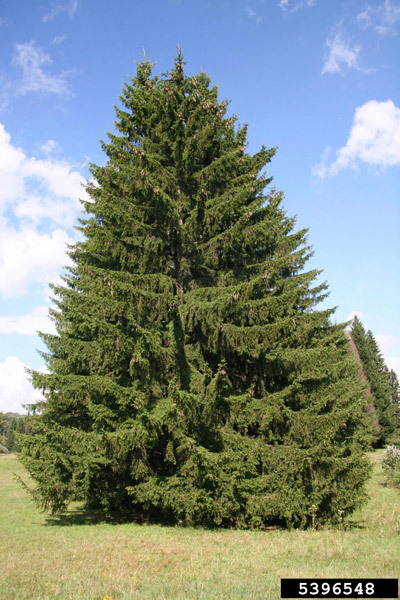 A medium to large tree with conical form, with horizontal to upward sweeping branches that have drooping branchlets.